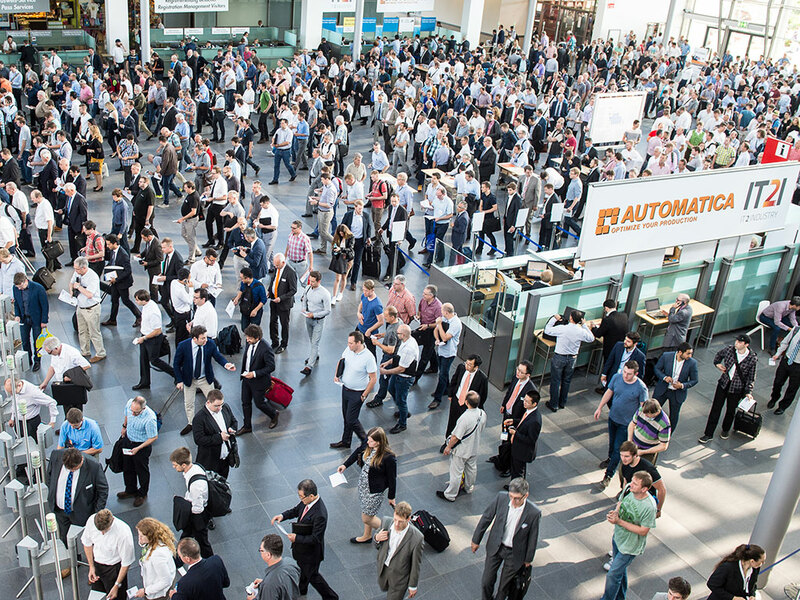 automatica, which will take place in Munich from June 19 to 22, 2018, has already allocated more exhibition space than in 2016, nine months before the fair opens! 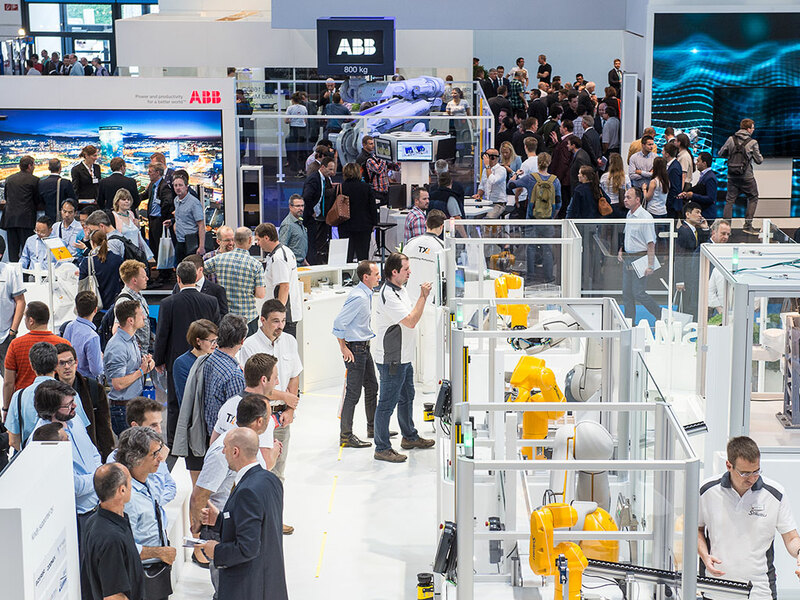 The increase in area from international exhibitors is 16 percent, and the area increase for first-time exhibitors is 12 percent, including Dürr Systems, Rollon, SIASUN Robot, Siemens, Sumitomo, TÜV SÜD, Volkswagen and WAGO Kontakttechnik. 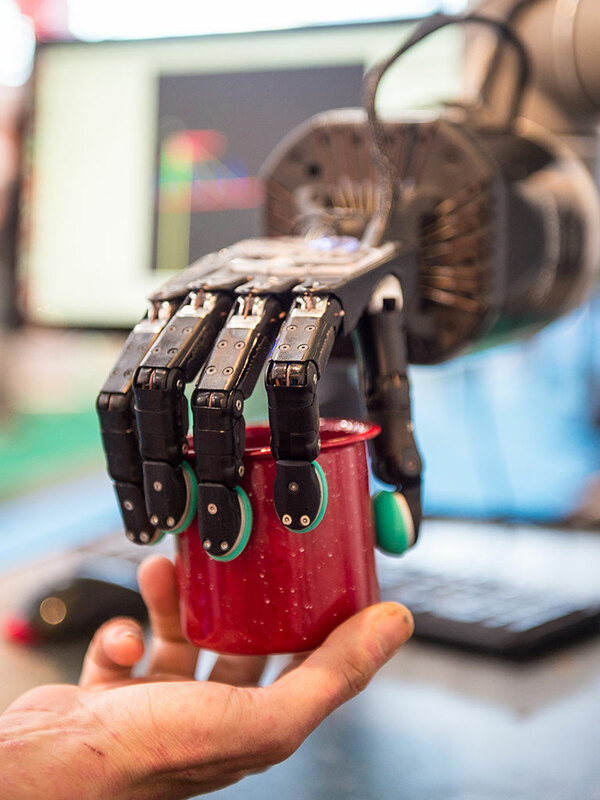 With the Trend-setting topics digital transformation in manufacturing, human-robot collaboration and service robotics, automatica makes an important contribution to designing Work 4.0 at places where people bear more responsibility than ever before. These topics will be exhibited tangibly and concretely at the trade fair. Digitalization has long been recognized as a key driver of competitiveness and sustainable success. With its own topic area, IT2Industry, automatica covers everything from robotics and automation to information technology, and all the way to cloud computing and big data. These highly relevant topics will be discussed in an ICT exhibition area as well as the IT2Industry Forum. At the same time, the OPC Day Europe 2018 will again take place within the context of automatica. automatica will host the AUTOMOBILE PRODUCTION Congress in collaboration with AUTOMOBILE PRODUCTION for the first time. With the subtitle “On the way to autonomous production”, the Congress will focus on the impact of digitalization and artificial intelligence on vehicle production. 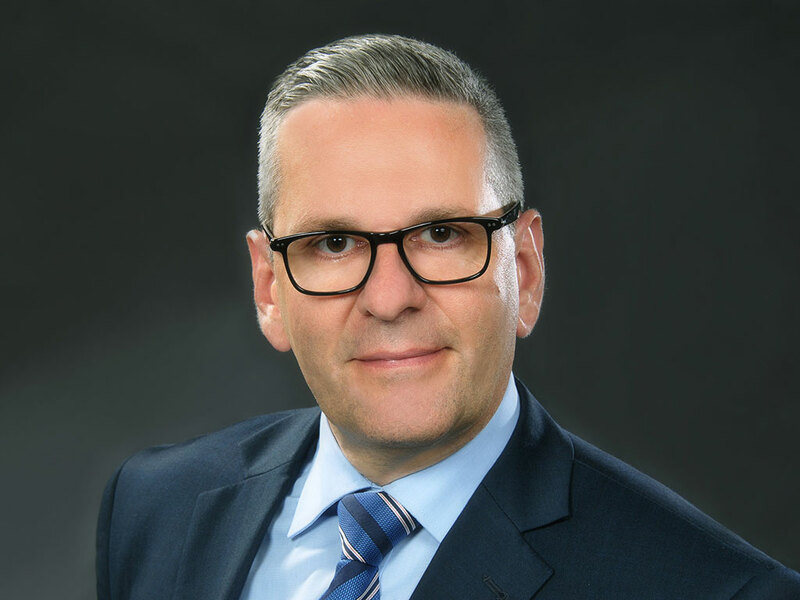 The automatica forum provides valuable know-how transfer. From vision to concrete implementation in actual practice, talks and discussions deal with current industry trends and future scenarios. 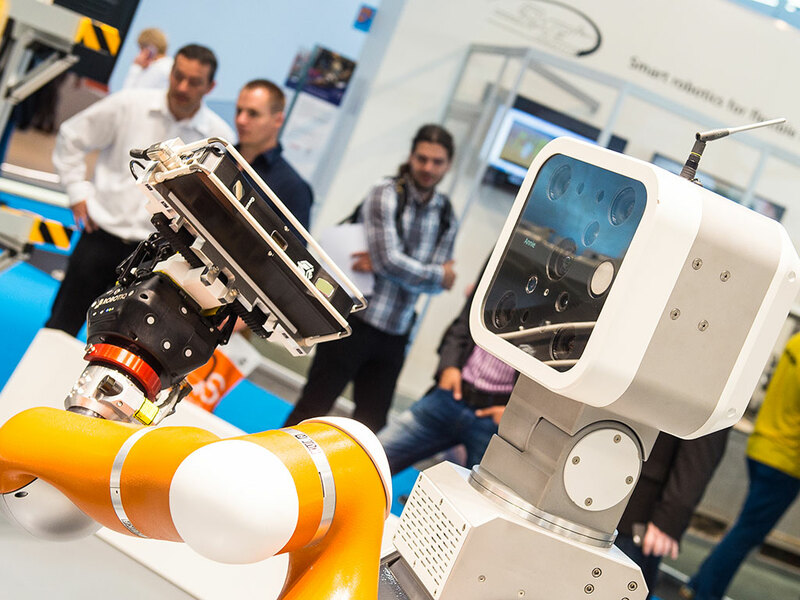 The world's leading robotics conference International Symposium on Robotics (ISR) 2018 will take place from June 20 to 21 within the context of automatica. More than 150 talks will provide insights into “state-of-the-art” robotics technologies. Hall B4 will be the place for innovation and the future at automatica. In addition to IT2Industry, the latest developments in Service Robotics will be shown live and tangibly. One European project will be presented: European Robotics Challenge (EUROC). In addition, the Makeathon and the exhibition space for start-ups will provide a central meeting point for promoting the next generation and young entrepreneurs in the fields of robotics and automation.